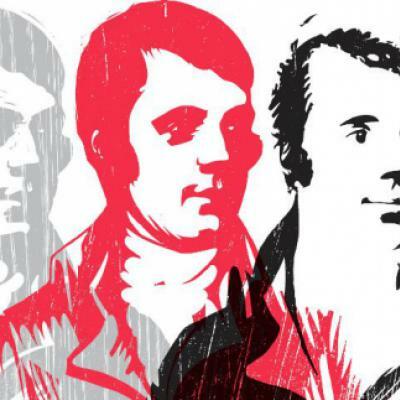 January 25th marks the annual celebration of Scotland’s national bard Robert ‘Rabbie’ Burns. Robert Burns was born in Alloway, Scotland, on January 25, 1759 and he died in Dumfries, Scotland, on July 21, 1796. He wrote many poems, lyrics and other pieces that addressed political and civil issues. Arguably his most popular work is Auld Lang Syne, which is sung at New Year’s Eve celebrations in many parts of the United Kingdom and other places around the world every time the clock strikes midnight. The bagpipes are a must! Most people choose to celebrate his life and works with a Burns Supper which is an institution of Scottish life. A Burns Night Supper includes some heart cuisine and speeches and these can range from an informal gathering of friends to a huge, formal dinner full of pomp and circumstance. You can find out more about Scotland’s favourite son at the Gateway to Scotland Website. Take a look at the Visit Scotland website too. You can download Five Burns Activities for the Classroom here.